Are you the type of person who finds being in a group class stressful and straining? Are you the type of person who works best studying alone and at your own pace? 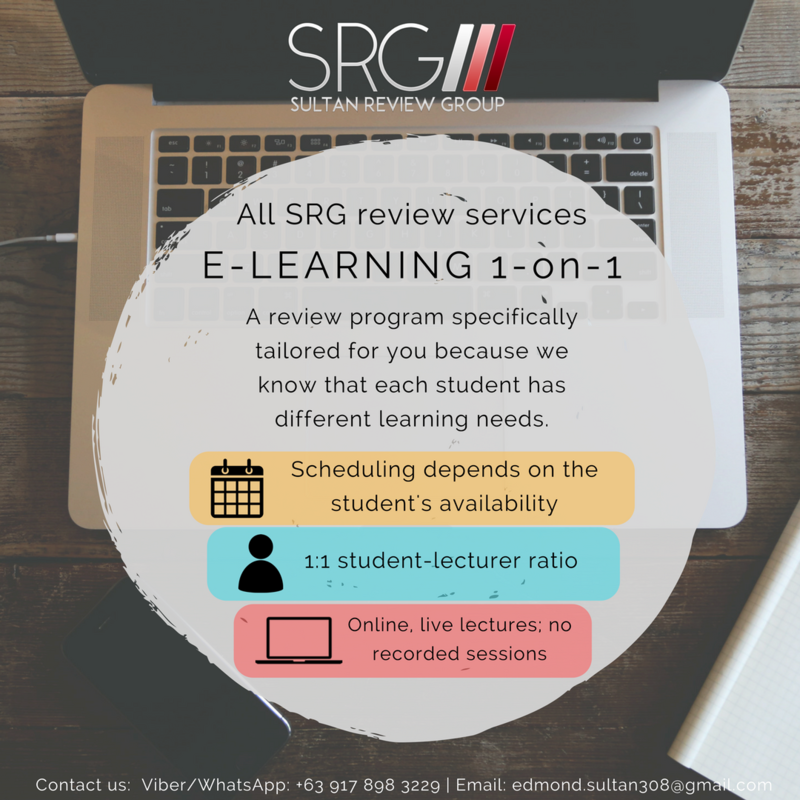 Then, SRG’s e-learning program is what you have been waiting for! SRG brings to you our one-on-one online review program. A review program individualized and tailored to your learning style, pace, availability, and preferences. Whether it be the PT and OT local licensure exam or international exams such as PCE, NPTE, NPTAE, NBCOT, SRG has got you covered! Enroll now and be the licensed professional you have always wanted to be!